"God was the subject (God created), followed by two or more objects." Ancient texts suggest that there was already water and monsters to live in it. So God was just responsible for the landscaping and the creation of animals. Including us. 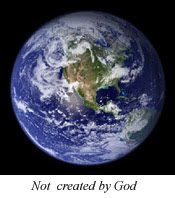 "The traditional view of God the Creator is untenable now." 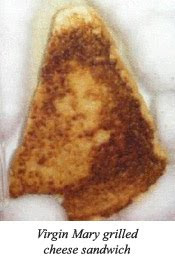 This is not the first shock to the religiously orthodox. In 2000, pseudonymous author Christoph Luxenberg suggested that a misreading of the Quran has led generations of the faithful to think seventy-two virgins awaited them in the afterlife. 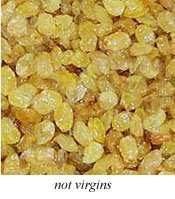 In the light of his exegesis with the Syriac rather than Arabic language (both sub-groupings of the Semitic family) the virgins turn into ‘white raisins’. Perhaps a bit of a let-down for any non-foodies who might have made the ultimate sacrifice in anticipation of the rewards. And the Jewish lecturer and commentator Hyam Maccoby has written an interpretation of the circumcision Moses and Zipporah’s son, in which the circumcision is to be understood as Zipporah's forcing an attenuation of a sacrifice of the first-born, a part of the evolution away from human sacrifice (to which Christianity paradoxically returned). I do have a full explanation of this, but I’m guessing nobody really wants to read it. It centres around different Hebrew words for infant and bridegroom circumcision which have since become cognate, and a reinterpretation of who was the subject and who was the object in a couple of sentences. Did you catch that, by the way? Bridgegroom circumcision. A stag night, a fitting for a tuxedo, arranging a week at a honeymoon suite in Barbados … and knob surgery. How many of you are relieved that has gone the way of the woolly mammoths?